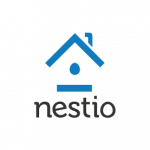 Nestio is a web-based dashboard for real estate lessors. 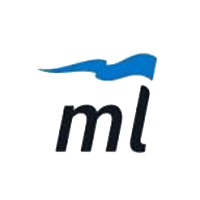 It allows users to market their properties for lease and connect with potential customers anytime. In this article, we cover its pricing information. Ready to get started with Nestio? Request a demo. As of the date this article was written (01/04/19), there are very few up-to-date Nestio reviews online. If you are a past or present Nestio customer, leave a review to help other business owners who are deciding whether or not to use the software. Nestio does not publish their prices on their website. However, according to a third-party site, the Individual plan costs $50 per month (subscribing annually costs $40 per month), while the Team and Enterprise plans are custom-priced. The main differences between the plans are customized database entries and management of exclusives and transactions with RLS distribution (for REBNY members). *Annual plans are billed in lump sum at the start of the billing cycle. Ready to get started with Nestio? Request a demo. 37 Best Real Estate Software & Tools for Top Agents in 2018 — In this guide, we compared the best real estate software in terms of lead generation, expense tracking, and open house management. Learn more about these tools that simplify agents’ sales and make them top performers. How can Nestio quickly connect lessors with potential lessees? Nestio provides for a 24-hour appointment booking system, allowing lessors to set meetings with potential customers anytime, anywhere. What kinds of reports does Nestio provide? Nestio churns out marketing, property performance, and team reports. They may be generated periodically or on a per-need basis. Not sure if Nestio is the right fit for you? Read our reviews of all top real estate software providers or check out one of these three Nestio competitors.